Late Bloomer. 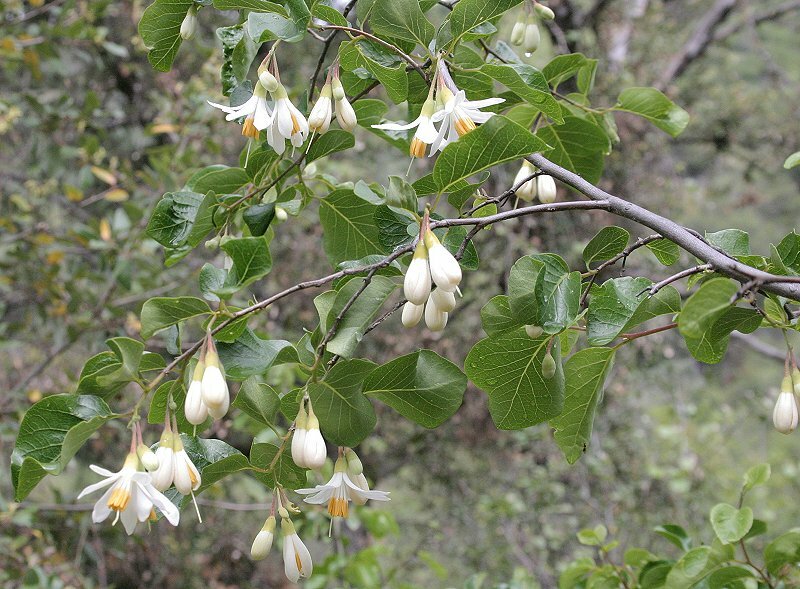 Large shrub, pendulous flowers with long white petals. Very pretty. Notes: Storax family. Many beautiful examples are downriver from Family Beach. Click on the species name to go to USDA for this plant.